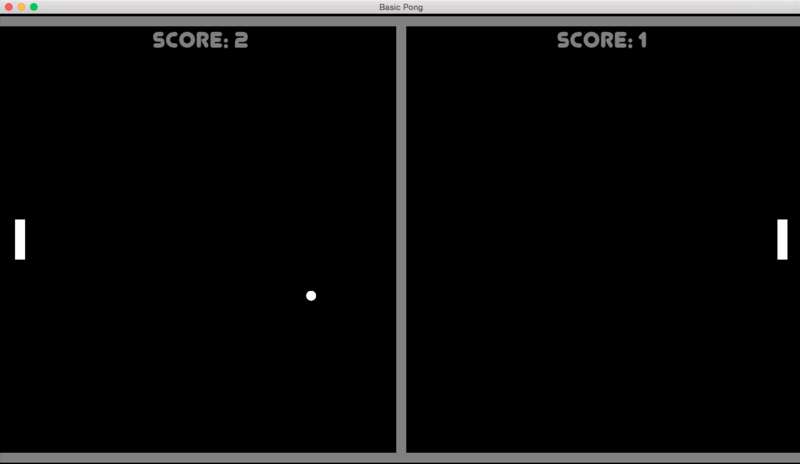 Basic Pong was the first game created and released with the TurtleBrains framework during Mini LudumDare #58. It does run on both Windows and Mac, however on Mac you need to run from terminal. I need to sort that out a bit. It was a great test, I’ve been testing TurtleBrains in a few long going projects, adding to it here and there, but I decided to start Pong from scratch, not even using my premake scripts. Attempting to put myself in the shoes of potential developers using TurtleBrains. The experience was great, for me as the developer of TurtleBrains. It would have been a poor experience for someone who wanted to use a simple framework. First, a few defines in my premake files need to happen automatically, the source in the documentation directory needs to have #ifdefs around it and the general process needs a little cleaning. But this was good. I will try creating more small “from scratch” projects as time moves forward so that I improve this process. A driving force behind TurtleBrains was to make things easier. Start a project, add TurtleBrains source, make a scene, and game running. It is nearly there, and will get there as time continues. If you want to try the never ending, extremely simple, two player version of Pong, you can download them at Basic Pong on Mac or Basic Pong on Windows and enjoy! This entry was posted on Friday, March 27th, 2015 at 6:28 pm and is filed under LudumDare, Programming, TurtleBrains. You can follow any responses to this entry through the RSS 2.0 feed. Both comments and pings are currently closed.